This haunting, quiet novel peels back life in Malaya and Malaysia in a beautiful, serious way. Pressed on by a memory-degenerative disease, a just-retired judge, Yun Ling Teo, starts to write a memoir of her life in the Cameron Highlands in the 1950s, after she was released as a Japanese prisoner of war. Her sister, a Japanese garden enthusiast, died while they were prisoners. Yun Ling travels back then to meet with a former gardener of the Japanese emperor, Aritomo, to see if he will help build a garden in her memory. He refuses, but takes Yun Ling on as an apprentice in his garden, Yugiri (Evening Mist); though she struggles with his heritage, they become lovers. In the 1980s, Yun Ling is approached by a professor studying Aritomo... secrets are divulged as in her retirement she works to restore the garden that has been barely maintained since his death, and looks back on her life. 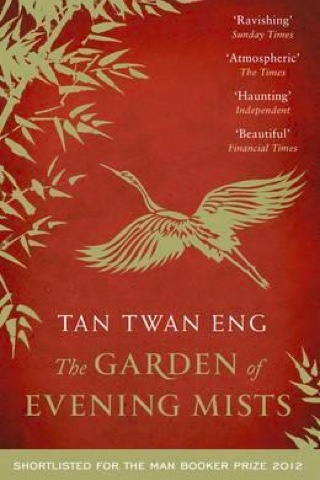 The 2012-released The Garden of Evening Mists by Tan Twan Eng won the Man Asian Literary Prize. While the conventional novelistic style breaks no boundaries, it prods and probes colonialism and its impacts as they echo down generations in a restrained, meditative way. We loved it particularly for its evocative Cameron Highlands and Kuala Lumpur setting; the geography (and architecture) of the Highlands are lovingly rendered (and criticised) in a way we wished we saw more of in mainstream literature. Read it on a creaking Malaysian train and be transported back to several eras of history — times that were in their own way just as complicated, challenging and colourful as today in Malaysia.